In the immediate surroundings of Bozen, you will find “Patscheiderhof“, located in the picturesque village of Signat situated on ”the Ritten” of Bolzano mountain, which can easily be reached within about 15 minutes drive by car. For a beautiful scenic drive, we recommended you to use the Rittner road for about 7 kilometers until you reach the “Unterinnerhof”. Here you will find a large parking lot and a lovely forest trail will then lead you within a 30 minute stroll, directly to Patscheiderhof. The “Patscheider” is renowned for being in possession of the family Rottensteiner, for more than a century. The Family Tradition and heritage is based on true hospitality and bequeathed Traditions. In the past, this guest house was run as a simple tavern and in 1973 was honored by receiving the “Golden chestnut” as the best “Törggelebetrieb”. Törggeln derives from Latin for wine press “torculus” and denotes the South Tyrolean traditional feast, which takes place in autumn. This feast was traditionally hosted by winemakers for their employees and harvest helpers. Since 1983, Luis Rottensteiner has taken over the catering and offers the Guests of Patscheiderhof, a light new South Tyrolean cuisine. Due to the subtle and refined combination of both traditional and modern culinary culture, the “Patscheider” has been honored with many awards. Luis Rottensteiner is actively supported by his wife Edith, his sister Greti and their two daughters, Doris and Sylvia are heartily engaged both in service and in the kitchen. Guests from all over the world are warmly welcomed by the entire family and will witness this true family tradition. Starting off with “Schlutzkrapfen” (stuffed noodles similar to Italian ravioli and also known as ravioli tirolesi) and “Nockenteller” (Tyrolean dumplings) over mixed starters and soups to the veal knuckle, pork ribs – not to mention the desserts and cakes – everything is light and deliciously cooked. In addition to the seasonal and traditional Tiroler dishes, you will also find so many Italian classics as daily specials. A subtle Mediterranean flair has found its way into Patscheider’s kitchen. 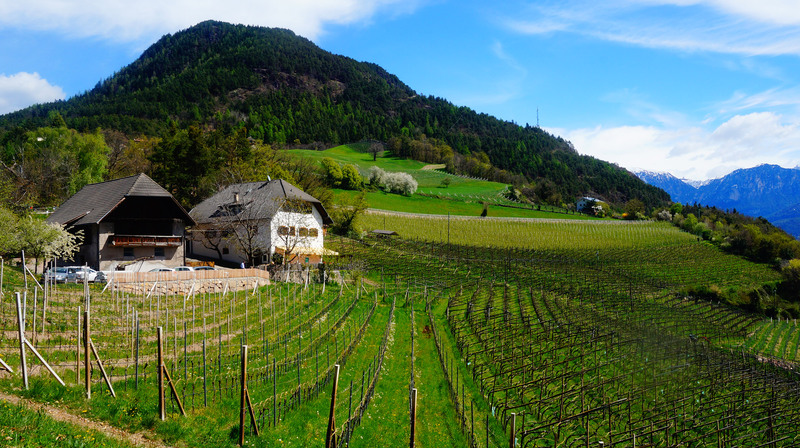 The Patscheider Hof has its own vineyards and of course terrific house wines ranging from – Müller-Thurgau and Vernatsch, (a south Tyrolean red wine also known in Italy as Schiava) – but also chestnuts, cider and much more. Responsible for this is Tobias Rottensteiner, the nephew of Luis Rottensteiner, who is seen working tirelessly in the vineyards. Tobias Rottensteiner also likes to throw a look at the extensive list of South Tyrolean wines.